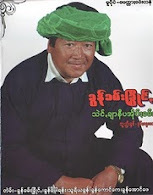 Taunggyi Time (ေတာင္ႀကီးတုိင္းမ္): Is There Any Space for Ethnic MPs in Parliament? According to the leaked information that The Irrawaddy reported in its news article, “Than Shwe Chooses Next President—Himself”, both he and Secretary-1 ex-Gen Tin Aung Myint Oo will take the positions of president and vice-president respectively in the next government. But it remains to be seen who will assume the post as the other vice-president (there will be two vice-presidents according to the 2008 constitution). 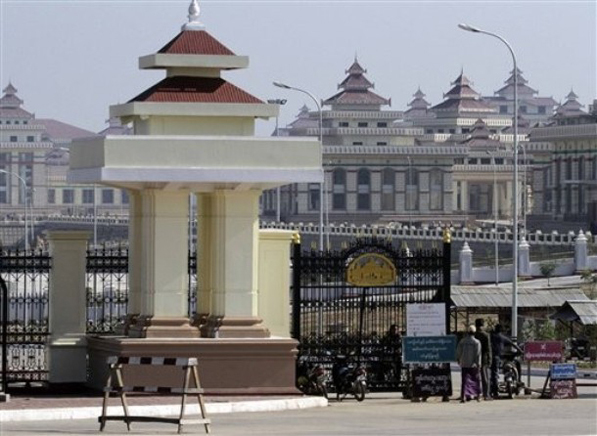 It has been suggested that the second vice-president position will be set aside for an elected MP with an ethnic background or someone from one of the ethnic political parties that won seats in the Amyotha Hluttaw (Nationalities' Parliament or Upper House). Taking up that position, a coalition of five ethnic political parties—the Shan Nationalities Democratic Party (SNDP), the Rakhine Nationalities Development Party (RNDP), the All Mon Region Democracy Party, the Phalon-Sawaw Democratic Party and the Chin National Party— released a joint-statement requesting the current and incoming governments to reserve one vice-presidency in the Nationalities' Parliament for an ethnic representative, as well as one speaker or deputy-speaker in either the Pyithu Hluttaw (People’s Parliament or Lower House) or Amyotha Hluttaw. It also requested positions for ethnic MPs and suggested Chief Minister positions. The first Parliament session for both Houses as well as the Regional and State Assemblies will be held on Jan. 31. 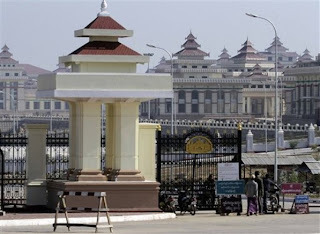 In the first session of the Pyidaungsu Hluttaw (Peoples’ and Nationalities’ Parliaments combined, or National Parliament), the leading issue will be to elect three vice-presidents—one from each of the Presidential Electoral Colleges (Upper House, Lower House and the Military Appointees). Following that, the National Parliament, will elect one of these vice-presidents as the President of the Union of Myanmar. The nomination and election process for these posts could take place within one month from the opening session of the National Parliament. Out of the 37 political parties that contested the general election, only 17 won at least one seat, 13 of which were ethnic parties. But all these ethnic parties combined won only 74 seats in the National Parliament in comparison to 388 seats won by the junta's proxy Union Solidarity and Development Party (USDP). In elections for the Upper House, 13 ethnic parties won only 29 seats whereas the USDP won 129 seats. The combined total of all non-USDP MPs in the National Parliament is only 105—falling far short of the 283 seats needed to edge the USDP, even if the military representatives remain neutral. So, what about the local assemblies in the Regional and State Parliaments? Across the board, in all Regional and State Parliaments, 17 ethnic parties won 104 out of a total of 253 seats in the State Parliaments, of which the ethnic Rakhine and Shan Parties won the largest number. In Arakan (Rakhine) State, out of 35 seats in total, the Rakhine Nationalities Development Party won 19 seats. In the Shan State Parliament, the Shan Nationalities Democratic Party won 36 out of 105 seats. The rest of the ethnic parties in Shan State won about 15 seats. The situation of ethnic parties in the remaining States such as Karen, Chin, and Mon is poor when compared to those of Arakan and Shan States. The Phalon-Sawaw Democratic Party won only four out of 17 seats in Karen State, while the All Mon Region Democracy Party won only nine out of 23 seats for the Mon State Parliament. Meanwhile, the Chin National Party and the Chin Progressive Party won five seats each for the Chin State Parliament. The worst case scenario exists in Kachin and Karenni (Kayah) States where no pro-democracy ethnic party even contested the election. Even the USDP’s proxy party, under the name of the “Unity and Democracy Party of Kachin State” won just two out of the 40 seats in the Kachin State Parliament. In Karenni State, no party except the USDP won a single seat for the State Parliament. This also applies to the appointment of ministers; the Chief Minister can select a person from among the State Assembly representatives or from among persons who are not representatives. Again, the State Parliaments have no right to refuse them unless they can prove these persons are not qualified. Again, the President has authority over the State Ministries and may make changes and additions to them. Therefore, ethnic representatives from ethnic political parties may have the opportunity to submit, discuss or resolve a Bill in the Upper House or State Assemblies. But what is notable is that although the Upper House can initiate a Bill, it has to be sent to the Lower House for further discussion; and if there is a disagreement between the two Houses relating to the Bill, the Upper House has to obtain a resolution from the National Parliament where, of course, the majority of representatives hail from non-ethnic political parties. Given the position of the ethnic political parties in the Parliaments according to the constitution, there is little to no chance for ethnic parties to select a vice-president or a speaker or deputy-speaker, even a Minister for each of the State Parliaments in which they are involved. That is why the five ethnic political parties have already requested the current and incoming governments to reserve some key positions for ethnic representatives. But it is entirely at the ruling clique's mercy. Even if some ethnic representatives from these five ethnic parties are granted a position or two, there will be no room to maneuver and all but the narrowest of openings for them to enjoy genuine representation in this executive or legislative system under the current constitution.